New Delhi, 12th January, 2018: Usha International, one of India’s leading consumer durables company, has strengthened its water dispenser portfolio with the launch of a new range - Usha Laguna water dispensers. With the introduction of this range, the company is eyeing the household segment along with the commercial segment. 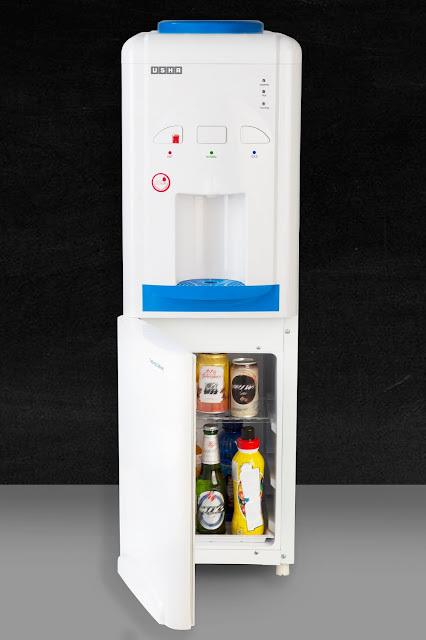 The new range includes table top and floor standing dispensers as well as floor mounted water dispensers with a cooling cabinet. The Usha Laguna range has unique features like single faucet for hot, cold and normal water dispensing, bigger and wider drip tray to avoid spill over and an anti-rodent power cord. The range has the largest cooling capacity in the industry, upto 3.5 litres per hour. Available in twin colour combination of white and cool blue, the Usha Laguna range is priced at INR 9590/-upwards.